Don't worry, my New Years Resolution wasn't to abandon my blog. We've just been busy with things that aren't very fun to share (like the stomach flu). Instead, I'll share a little project I finished late last year: my first pair of knit socks! I was super intimidated by the thought of knitting socks, even though I've worked trickier projects in the past. Thankfully, these were much less difficult than I anticipated! The yarn is the hand-dyed skein I bought from Neeley's Knits at the Kentucky Wool Festival last autumn. The colorway is called Chocolate Frog, and it even came with a mini-skein of silver to make a contrasting heel and toe. 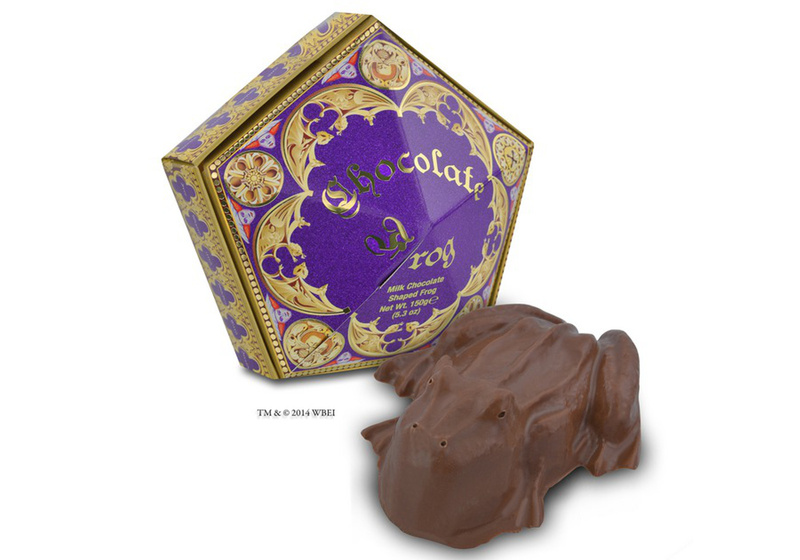 I feel like I'm in nerd stealth-mode with these, since they so perfectly capture the colors of an iconic Harry Potter prop (the Chocolate Frog packaging), but aren't quite as obvious as, say, Gryffindor socks. I used the Wicked Simple Socks pattern and the Fish Lips Kiss heel. They are just a smidge big so I might use 60 instead of 64 stitches for my next pair. I am elated that my first socks turned out so well! Project details on my Ravelry page. 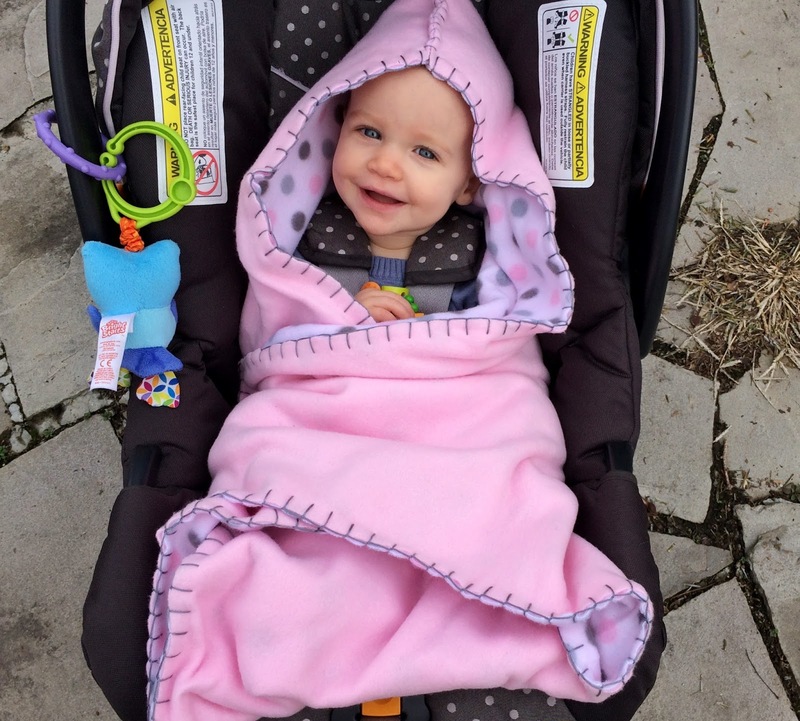 Another little project that I worked on over the holidays was this car seat blanket for Mae. It has a little hood and flaps to keep her warm on chilly winter mornings. I loosely followed a tutorial from Imperfect Homemaking, with a few modifications. In the back is a large, oval-shaped cut-out to reduce bulk and allow the car seat straps to be pulled snug. I also hand stitched the edge with embroidery floss instead of using my sewing machine. Stay toasty, Mae! Awesome job! I knew you were working on your first pair of socks and so was patiently waiting for them to be completed. They are great!!... and I am officially jealous since I have not been able to start my first pair (I ended up knitting a little LCR hedgehog for my mom instead). Nice blanket too, and I must say, Mae has a fantastic smile! Thanks! I haven't taken the socks off since I photographed them yesterday afternoon :). I love that LCR hedgehog pattern. I use one as my pincushion!